Postpartum Follow Up Care | PELV-ICE LLC. The fourth-trimester. AKA postpartum. You’ve probably heard us talk about the importance of this stage in motherhood; it’s the stage that is overlooked by many doctors, media, and even moms. Now an ally of woman’s health is also using the phrase fourth-trimester to raise visibility of how vital care during this period is. A recent convening of the Presidential Task Force on Redefining the Postpartum Visit Committee on Obstetric Practice headed by The American College of Obstetrics and Gynecologists (ACOG) has produced a revolutionary article on the topic of optimizing postpartum care for the 21st Century American woman. The revolutionary part? Make it woman-focused, and woman-led. Research has shown that women feel there is an “intense focus on women’s health prenatally, but care during the postpartum period of infrequent and late”. There’s no shortage of stories from woman noting that in all their prenatal visits the topic of a postpartum care plan is rarely or hardly ever discussed. 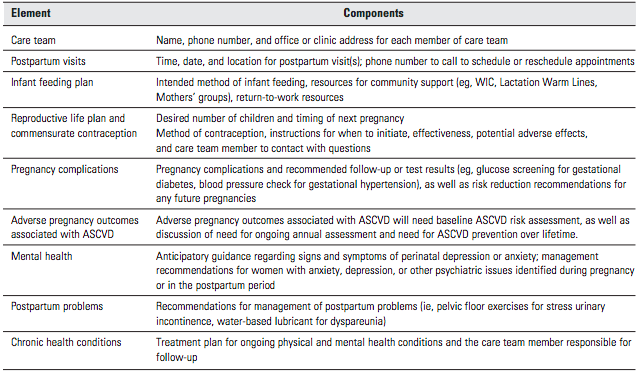 ACOG, in their May 2018 journal, recognizes that as many as 40% of women do not attend any postpartum visit, which leads to health disparities and an expanding array of future complications that healthcare professionals are just now realizing are tied to inadequate postpartum support. Heart disease, stroke, and future depression are among the handful of medical issues that impact women even a decade after birth, and doctors are finding that identifying and managing these issues within the first 3 weeks of delivery can positively affect a mother’s future health on the path of being a well-woman. The holistic approach that ACOG recommends to all women is to have contact with a care provider within three (3) weeks postpartum for an initial assessment to create a comprehensive approach to an individual woman’s needs going forward concerning a battery of health and wellness concerns. But this care system should be started during the prenatal phase to begin a postpartum plan that involves identifying who the mother’s care provider will be, address health issues, especially chronic ones, mood disorders, and external care support like friends and family. The phrase “it takes a village” has loosely defined traditional approaches to postpartum care for decades. Robust family leave programs in other countries has underscored the poor maternal mortality rate that is scarily rising in the U.S. Today, 23% of employed women return to work within 10 days postpartum, putting a strain on a mother’s ability not only to find childcare, but find the ability to schedule a doctor appointment. While we wait for federal policy changes that allow for a full paid 6 week leave, technology can create a safety net in the interim. Phone calls, text messaging, and apps can be powerful reminders for appointments and follow-ups. Simply checking in about how a mother’s mood is, how feeding is going, and if she’s experiencing any adverse physical conditions can make a mom feel supported and be more apt to open up about any problems or concerns. Bottom line, every woman’s health is as unique as she is, and there’s no one-size-fits-all approach to her postpartum journey. Putting as much planning into a postpartum care plan that goes into researching strollers is as instrumental to the health of a mother as it is to a baby. When a mother’s health is compromised caring for her little one is made more difficult because small tasks like climbing stairs, doing dishes, and feeding are all potentially impacted when the fourth-trimester isn’t valued and respected. 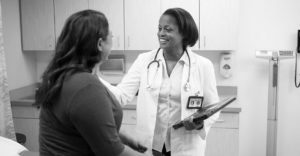 Many policy changes are needed to correct an imbalance in maternal healthcare, especially for women of color, to make sure the future of postpartum care is woman-focused.